The scenario file is like others in orbiter, and the config file is basically the direct contribution of Multistage addon. So that, when some users or new addon developers are looking for create their first rocket, faces with the challenge of making the other two files: the meshes (MSH) and how to attach textures (DDS) to that meshes, and this could be quite difficult in the beginning. The main goal of this tutorial is to elucidate that: the ‘step by step’ in how to create the body of your rocket, the texture file, how to configure it by using Multistage 2015 and of course how to create the scenario file for finally launch your own rocket in Orbiter. 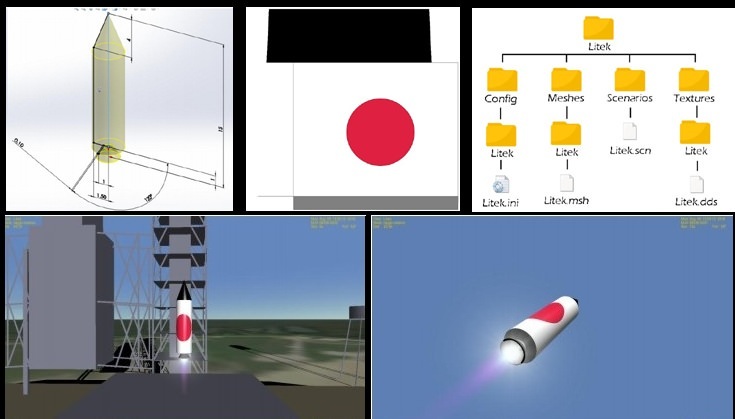 Along with this tutorial I have attached a Japanese H-IIB rocket model made by myself as a reference (it could guide you in the process of create a rocket).